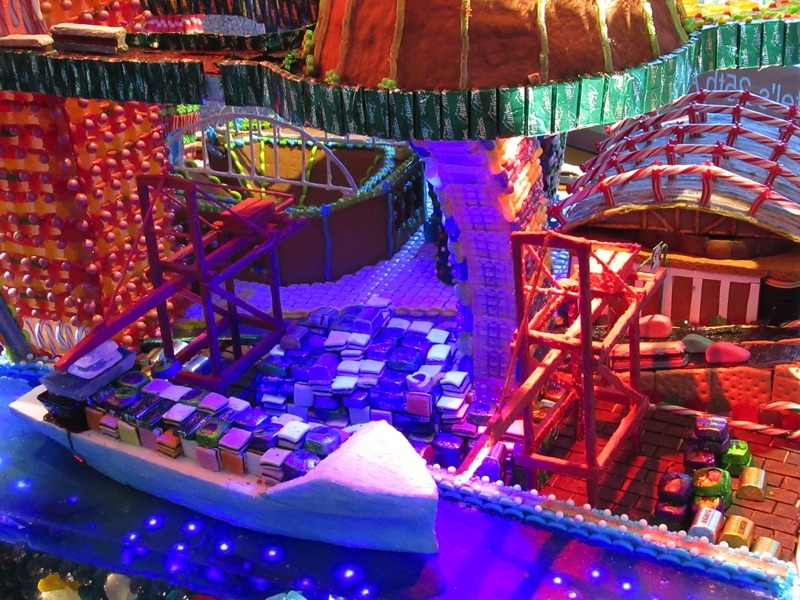 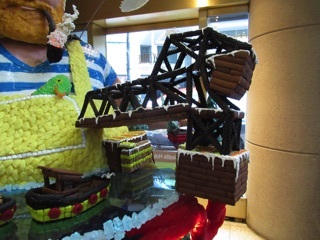 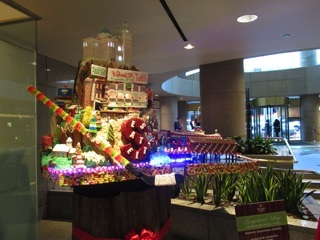 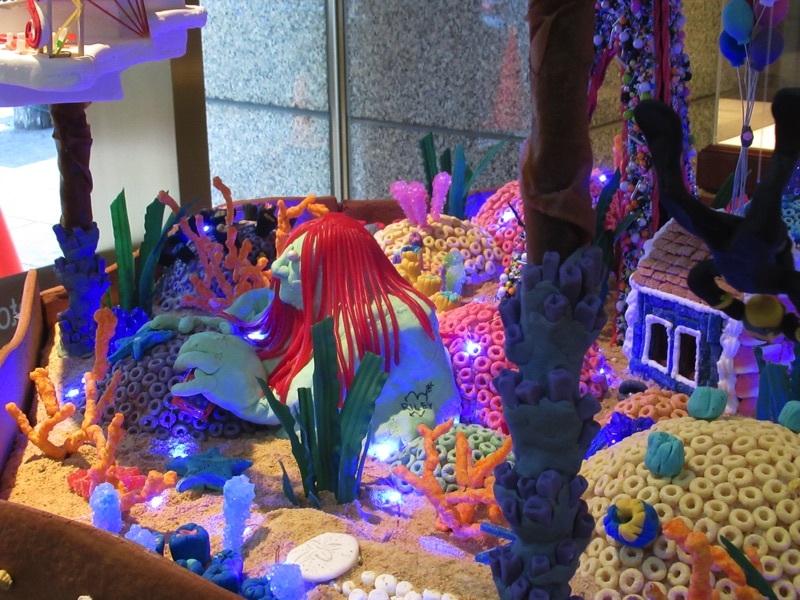 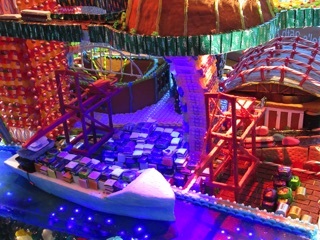 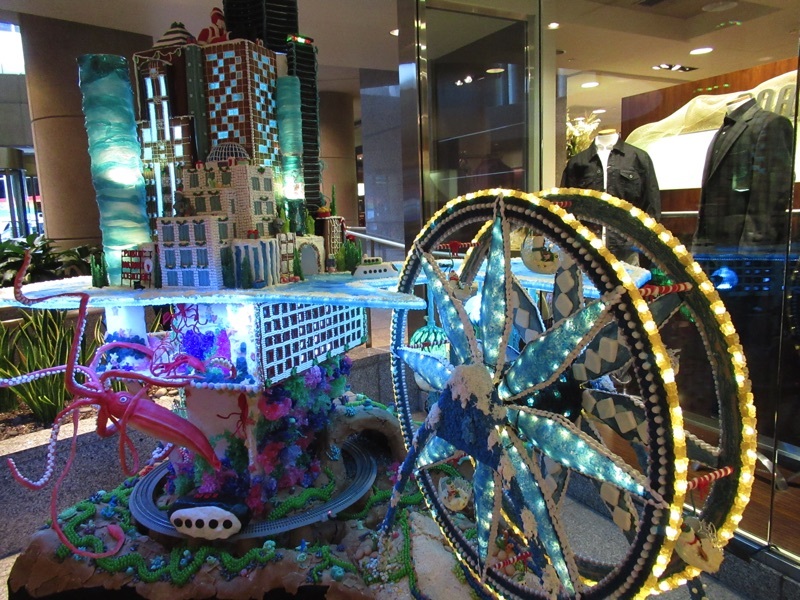 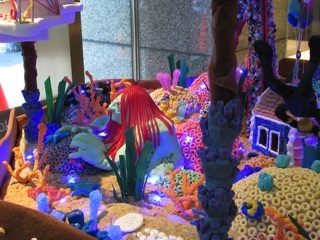 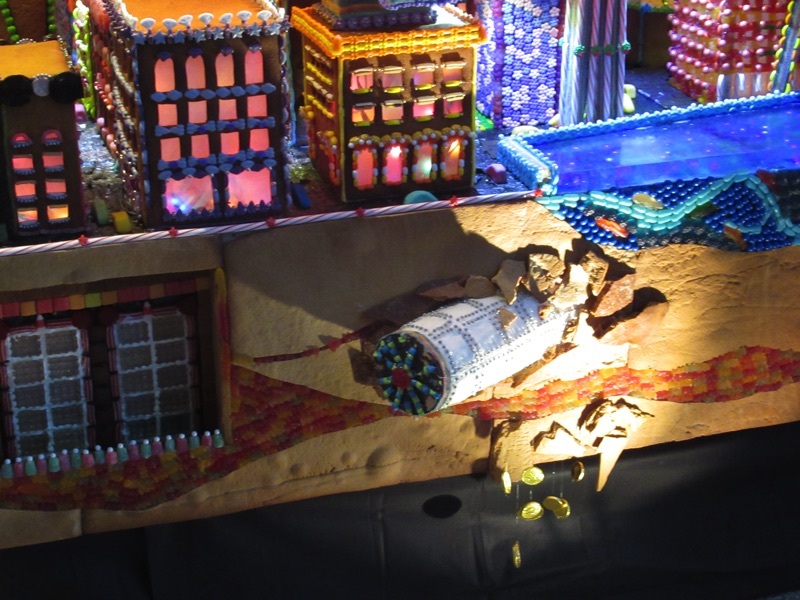 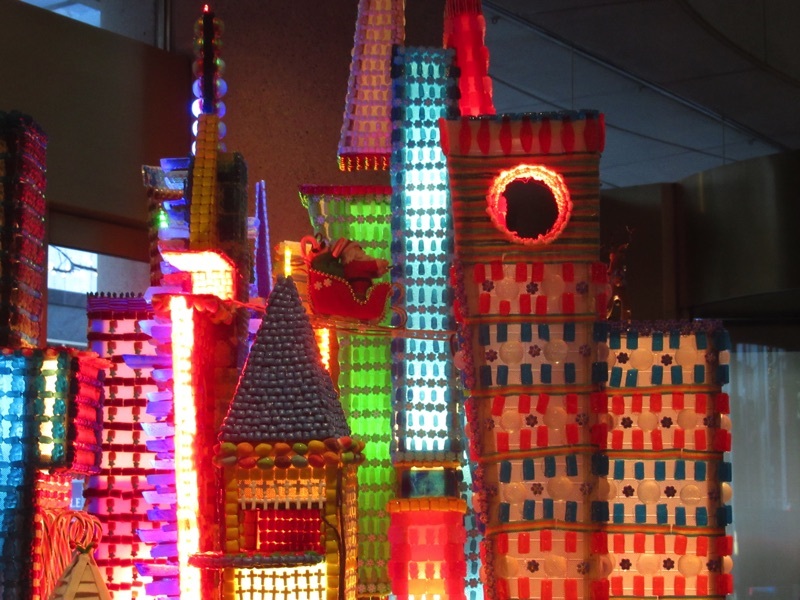 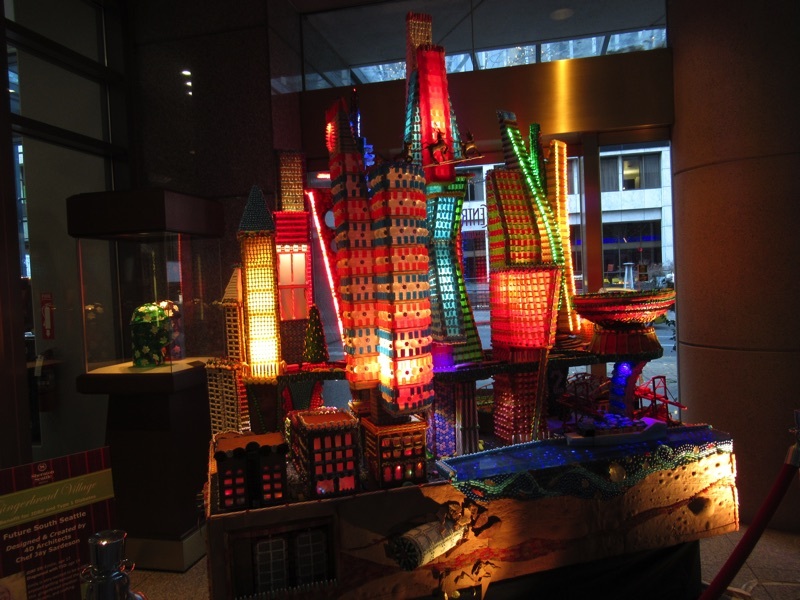 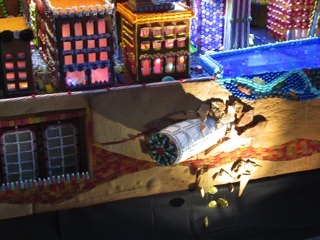 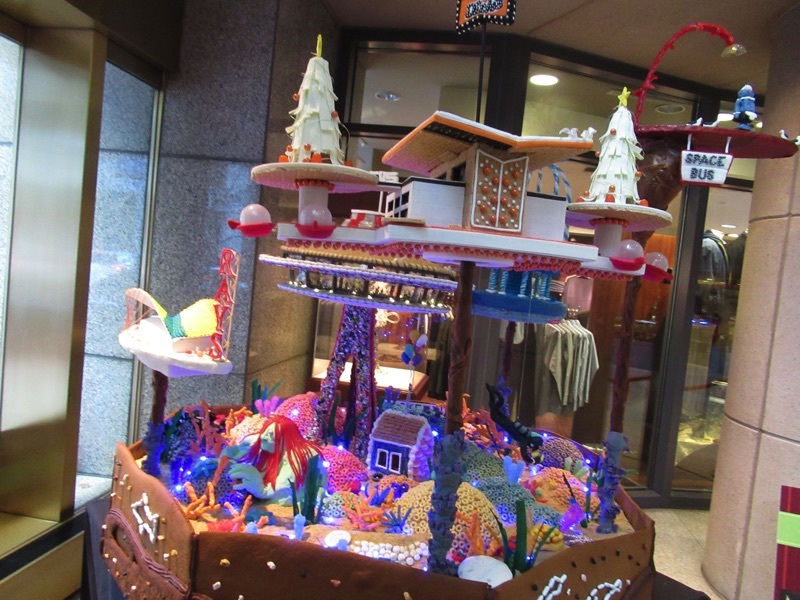 Every Christmas we look forward to the Christmas gingerbread village displays in Seattle. 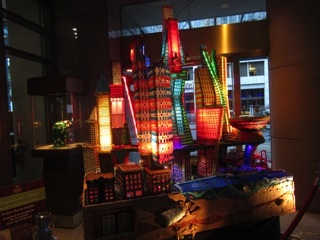 Usually, they are at the Sheraton downtown, but this year they were across the street. 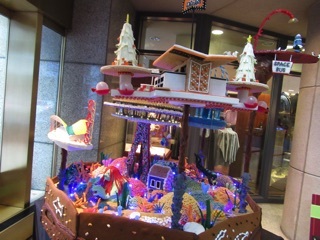 As usual, the display was for the benefit of the Juvenile Diabetes Research Foundation, and some serious design and baking talent was involved. 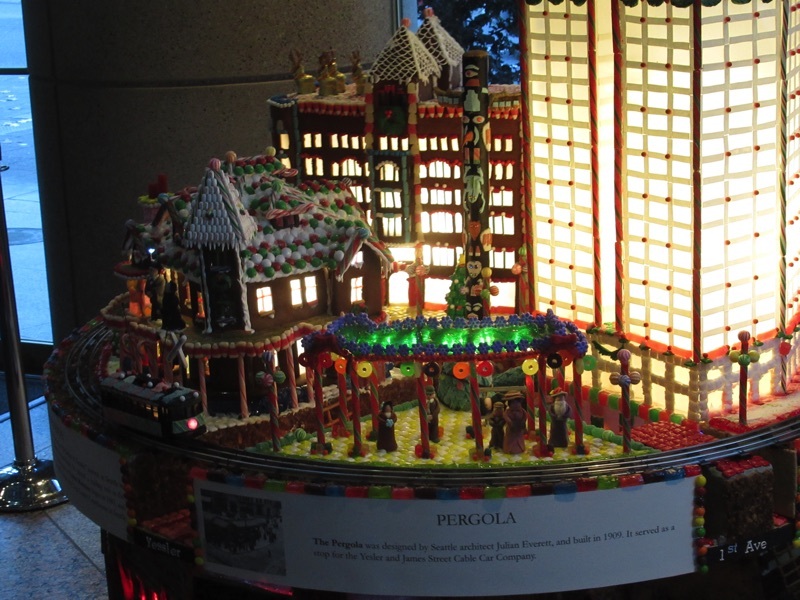 This year the theme was Seattle and Seattle history, so we recognized a lot of the landmarks. 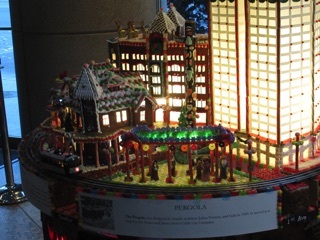 There were the Ballard Locks, the ferris wheel down at the waterfront and a Jetsons' vision that included the Space Needle and Rosie, the Jetsons' robot maid. 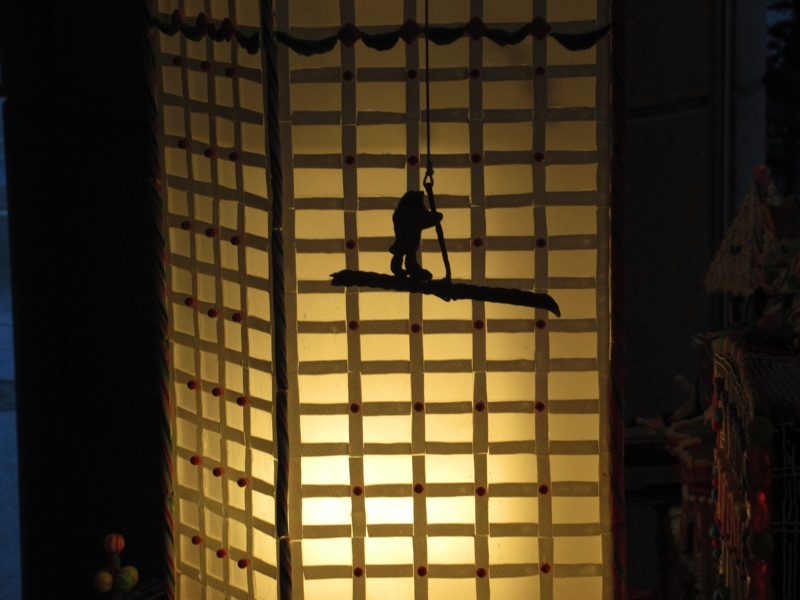 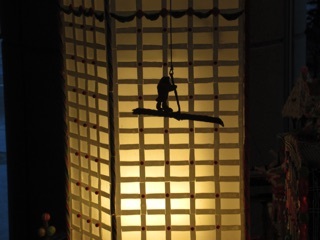 There was also a bigfoot riding a girder. 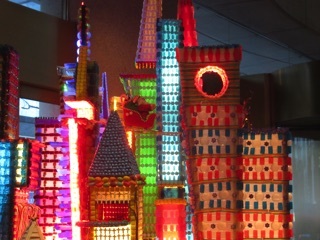 We'll have to check some of those construction cranes that have taken residence in town.